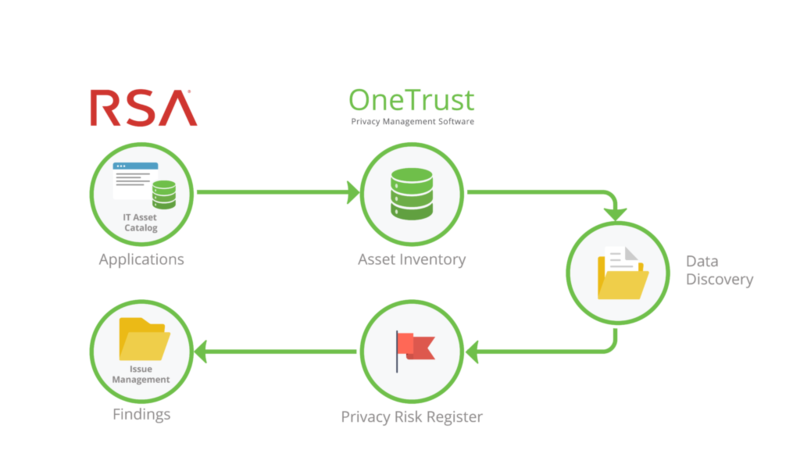 OneTrust is excited to be the only enterprise privacy management software platform to join the RSA Ready Technology Partner Program. The interoperable solution between OneTrust and RSA offers enterprises an EU GDPR management dashboard to help facilitate compliance. The RSA Ready program gives technology partners access to RSA software so that they can develop and certify interoperability between their product and RSA’s. The RSA Ready designation is awarded to technology partners that have successfully met certification criteria set by RSA. By allowing organizations to leverage use cases in the RSA Archer GRC platform along with OneTrust’s enterprise privacy management software, organizations will have access to a central and consolidated view of GDPR risk, allowing them to streamline and simplify compliance. The combined offering will allow organizations to account for the unique requirements of the GDPR, while maintaining the benefits of consistency that an overall enterprise Governance, Risk Management, and Compliance program brings to an organization. We are excited to bring together the enterprise technology expertise and market-leading solutions from RSA, together with OneTrust’s deep privacy expertise and purpose-built privacy management software for GDPR to offer organizations globally a streamlined privacy management solution. To learn more, read our press release. For additional news and updates, visit our blog or news section. To learn more about RSA, visit their website.